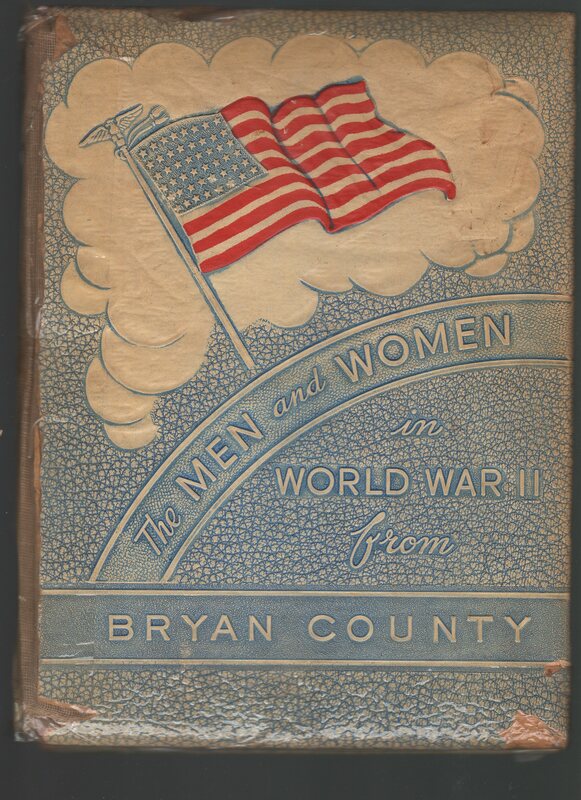 The list of the 114 soldiers that were Killed in Action from Bryan County. Campbell, Richard M. Carey, Oscar Carl Carson, Gerald Dainey Caughey, Ted T.
Childs, J. B. Coker, James T. Copeland, Haskell B. Cox, John D.
Deel, Woodrow W. Diffey, Charles Leon Diffey, Robert William Dodson, J. W.
Garland, J. B. George, Maurice T. Giles, Angus M. , Jr. Gooding, Bruce O.
Hudson, Jesse C. Hughes, George E. Jeffcoat, Houston C.
Jennings, Claud Wayne Johnson, Lemont G. Johnson, Moses Jones, W. J.Jr. Pittman, Frank Pool, L. B. Potts, Barney Pullen, Phill G.
Roberts, James G. Roberts, James Marlow Robertson, LeRoy Scott, Lewis C.
Seago, Eugene Searcy, Dan B. Shoemak, S. E.
Stark, Ralph Dennis St. John, Murray Alfred Tate, Gerald V.
Thornton, Herman L. Tidwell, Ralph Turnbull, Turner B.
Weatherly, Charles E. Welch, Charlie L. Whitson, D. J. Winnett, Marvin L.